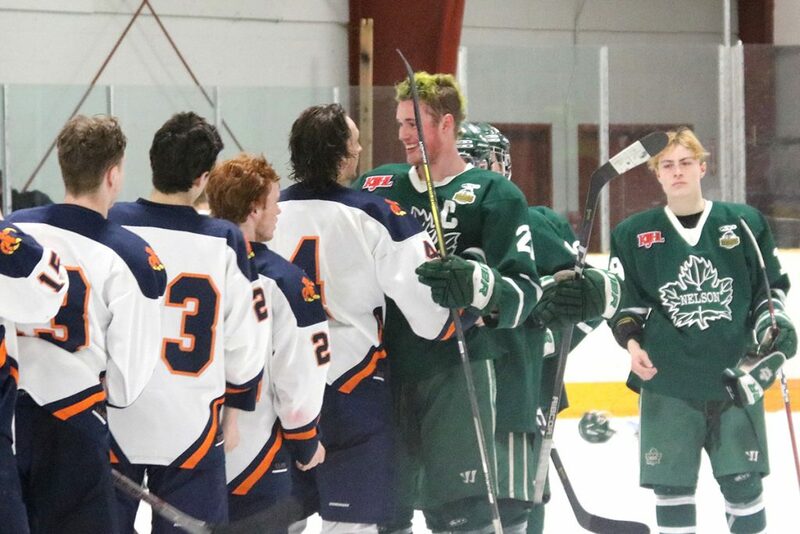 The Beaver Valley Nitehawks are one game away from celebrating another Neil Murdoch Division title. 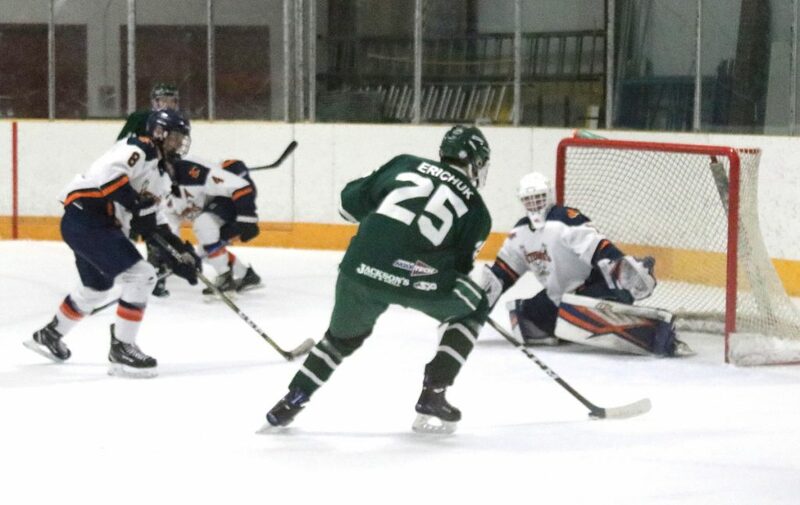 Hawks’ forward Michael Hagen scored the game-winning goal and Noah Decottignies earned the shutout in a 3-0 Game 4 victory over the Nelson Leafs on Wednesday at the Beaver Valley Arena. 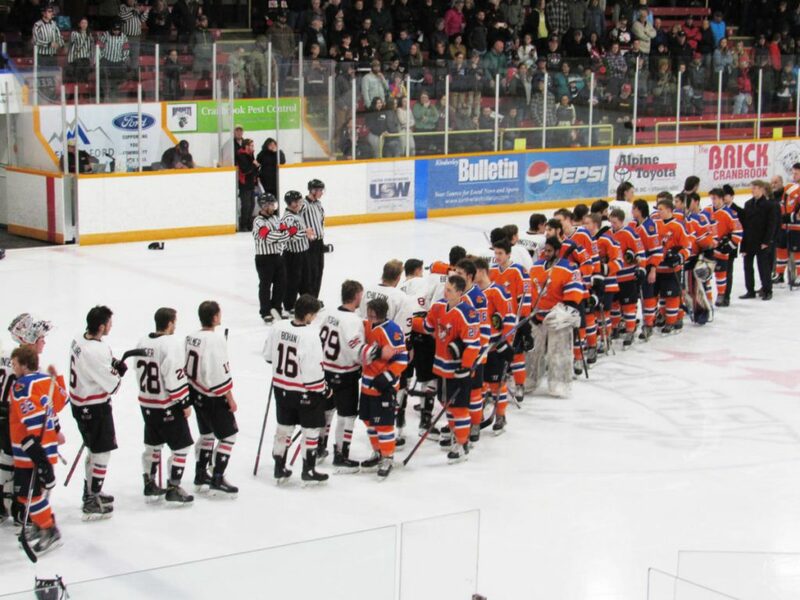 The Nitehawks dominated from the opening faceoff and suffocated the Leafs offence with a combination of speed, good goaltending, and resilience on the back end. 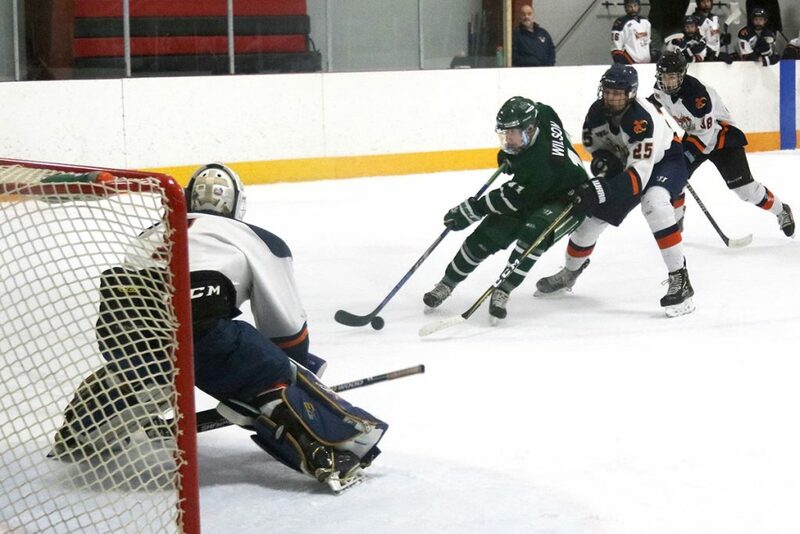 Hagen’s goal at 10:32 of the first period stood up as the game winner, as the trio of Hagen, Paul Leroux, and Ryan Crisally manufactured another highlight reel tally to give the Hawks a 1-0 lead. Hagen one-timed it top corner, giving Leafs goalie Hunter Young no chance on the play, as the win propelled the Nitehawks to a 3-1 series lead over the number-1 seeded Leafs. Since, the return of Crisalli from injury for Round 2, the Calgary line has been on a roll using their speed and creativity to create a number of scoring chances every game. 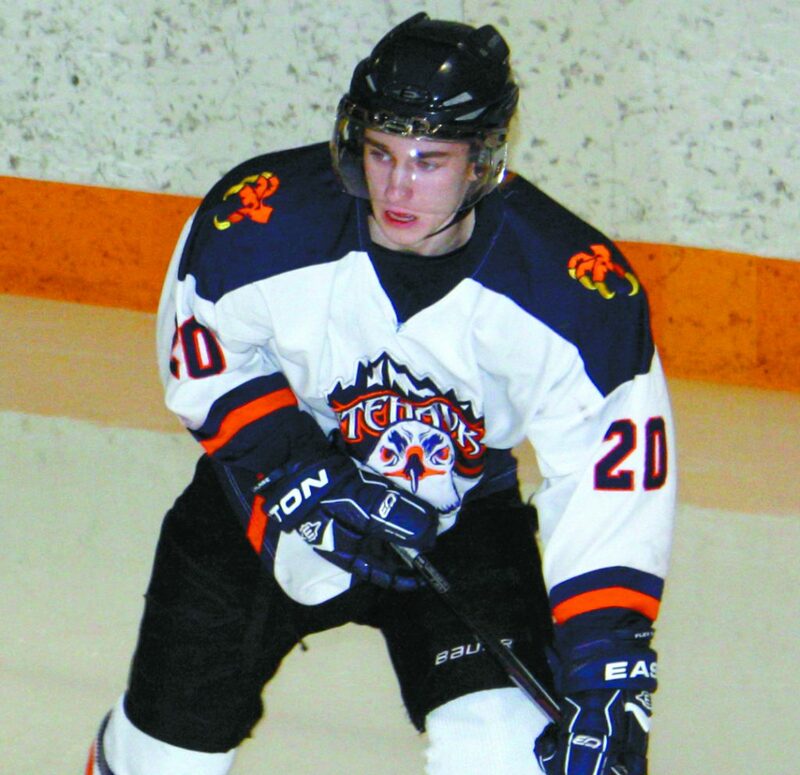 The line has compiled 19 points against the Leafs in four games, with Hagen leading all players in the Kootenay Conference in playoff scoring with five goals and 12 assists after a two-point night Wednesday. Jared Stocks put the Hawks up 2-0 less than two minutes after Hagen’s tally. Stocks stick-handled over the blue line and, using the Leafs defenceman as a screen, snapped a shot under the blocker of the Nelson goalie, as the Nitehawks outshot the Leafs 12-4 in the period. The Leafs Jack Karran was called for interference less than a minute into the second period, and the Hawks made them pay. Hagen sent a backdoor pass to Leroux who fired it into the open net for a 3-0 Hawks lead at 18:28. Beaver Valley found themselves in trouble early in the third period with back-to-back penalties that gave the Leafs a 5-on-3 power play. A determined Hawks PK blocked shot after shot and kept Nelson to the perimeter to kill off the penalty. A minute later, the Hawks were in the box again, but killed off a four-minute penalty, showing poise and character for a young team in a ‘rebuilding year.’ B.V.’s post-season success against Nelson is a significant turn-around from their regular season woes when the Hawks couldn’t buy a win against the Leafs, earning just a tie and an OT loss in six games. 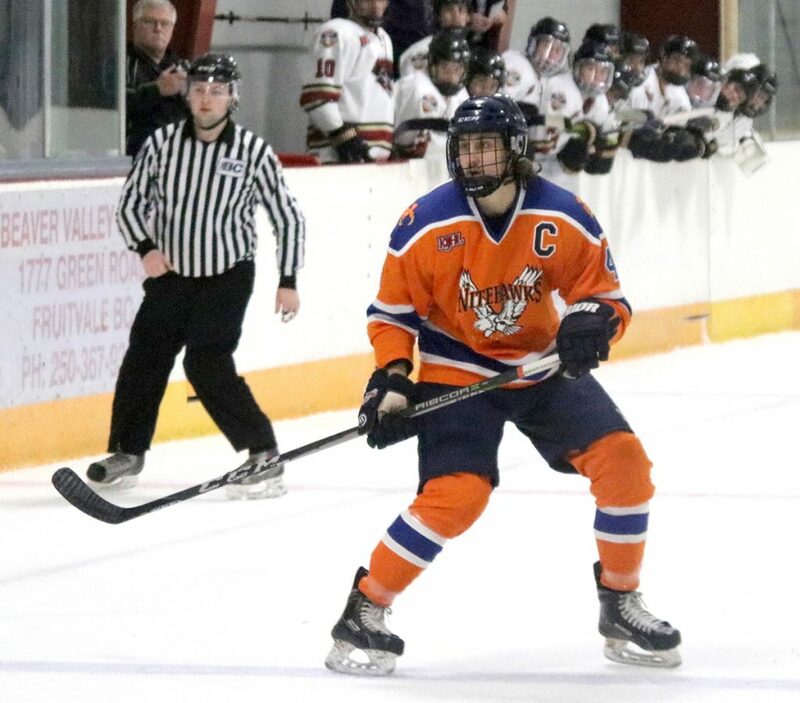 The Nitehawks are having fun, and the confident group will look to wrap up the Neil Murdoch Division final series at the Nelson and District Rec Complex at 7 p.m. tonight (Friday) . The Nitehawks outshot the Leafs 28-16 and were 1-for-4 on the power play and a perfect 5-for-5 on the penalty kill. If necessary, Game 6 will go in Fruitvale on Saturday at 7 p.m. at the B.V. Arena.